Brand New Lakeside Townhomes Coming Soon! Click here for more details. Whether you are looking for a ski-in ski out condo, a high end family retreat, or land to build your dream escape in Durango or Purgatory Resort, we can help you find the right fit. Why Choose Durango Mountain Realty? We’re committed to creating a place for you and your family to connect, away from the noise and distractions, and away from overbooked schedules and rushed meals. A place where a “great room” means the start of great memories, where a chairlift ride is the start of an actual conversation with your teenager. The ownership of your special place is the start of togetherness for you, your children and their children, an investment in your family and your legacy for future generations. Making our little slice of heaven even more desirable, Durango boasts Fort Lewis College, a local airport, and year round arts, music and food festivals, not to mention millions of acres of National Forest and Wilderness and more trails than a lifetime could explore. We truly have never-ending opportunities out our backdoors, with the friendliest town in Colorado to boot. 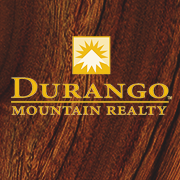 Durango Mountain Realty is the leading brokerage in Durango’s resort area located right in Purgatory Plaza. We are the experts in the Purgatory and resort area markets and are proud to be the exclusive brokerage for Durango Mountain Resort. With decades of combined experience selling the Purgatory community, the Durango Mountain Realty Team is your best source for real estate at Southwest Colorado’s best destination resort. This data was last updated: 2019-04-24T08:56:28.7.